Stock # CAP2514, 2.0L FSI I4 turbo-charged, 6 Speed Automatic, 73286 mi. ** LOCALLY OWNED ** ONE OWNER ** CLEAN CARFAX ** NAVIGATION ** REAR VIEW CAMERA ** HEATED SEATS ** LEATHER ** SUNROOF ** CARFAX CERTIFIED ** 2010 AUDI A4 AWD with powerful 2.0L FSI I4 turbo-charged engine and only driven 73286 miles! Fully loaded and much more! ** FINANCING AVAILABLE ** CARFAX CERTIFIED ** Why Buy from Capital Auto Sales:All of our vehicles are processed through a (120) Point Vehicle Inspection.Our vehicles come with a (3) Month/3000 Mile Limited Power Train Warranty.We maintain excellent Google reviews year after year. Free Virginia State Safety Inspections for life. (2) Free Oil Changes with any vehicle purchase (surcharge applies to diesel vehicles & synthetic oil). We will gladly buy your car, even if you don't buy ours. An extra $500 trade allowance when you trade-in any vehicle previously purchased at Capital Auto Sales!Contact our friendly sales team at 703-445-2277 for more information today!No Credit, Bad Credit, No problem! Tax ID, No Problem! We Finance EVERYONE! Guaranteed Credit Approval! Rates starting at 1.99% for well qualified buyers. GET PRE APPROVED TODAY! Apply Online now by clicking here WWW.CAPAUTOVA.COM/FINANCING.Affordable Service Contracts are available. 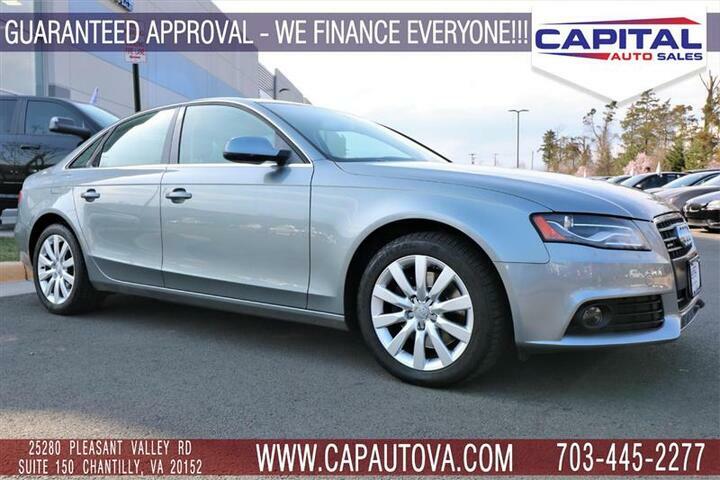 Ask your sales representative for more information.WE NEED YOUR VEHICLE, DON'T LOSE $$ BY SELLING IT ELSEWHERE.Call (703) 445-CARS (2277) to make an appointment or drop by to check out our fantastic selection and our beautiful Chantilly showroom located at:25280 Pleasant Valley Rd.Suite 150Chantilly, VA 20152We are open 7 days a week for your convenience! Call, text, chat, email or stop by today! Monday - Saturday 9 AM to 8 PM and every Sunday 11 AM to 4 PM.